AN EXPERIENCED corporate executive who fell in love with the natural beauty of Douglas Shire 20 years ago has been appointed Council’s new Chief Executive Officer. Douglas Shire Council Mayor Julia Leu announced that California-born Mark Stoermer (right) would take the top job at a Special Council Meeting in Mossman today. “We have chosen a strategically strong executive who is a proven leader,” she said. “Mark is a gifted corporate executive who has used his impressive financial credentials and marketing brilliance to excel in local government and the private sector. 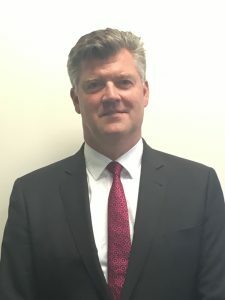 Mr Stoermer will bring extensive experience in local government, including a five-year stint as Director of Corporate Business at the City of Melbourne, and was most recently Chief Executive Officer at Nillumbik Shire Council in Victoria. He also previously ran high profile wealth management firm Fordham Group and was General Manager at global accountancy company Moore Stephens in Melbourne. Mayor Leu said Mr Stoermer was a clear choice of the 35 applicants. “This was a rigorous recruitment process that attracted applications from across the country,” she said. Candidates were short-listed then interviewed by all Councillors. Mr Stoermer said taking the reins at Douglas Shire Council was his “dream job”. “I had my first holiday at Port Douglas in 1999 and I have been coming back ever since,” he said. Mr Stoermer graduated with a Master of Finance from New York University and BA High Honours from University of California at Berkeley. He also recently completed his Certified Public Accountant (CPA) Accreditation exams and expects full accreditation shortly. “I have a huge passion for preserving the environment and growing the tourism industry,” Mr Stoermer said. Mr Stoermer is expected to start the new role next financial year.